Shipping was no hassle, quick and free. Delivery was placed .. 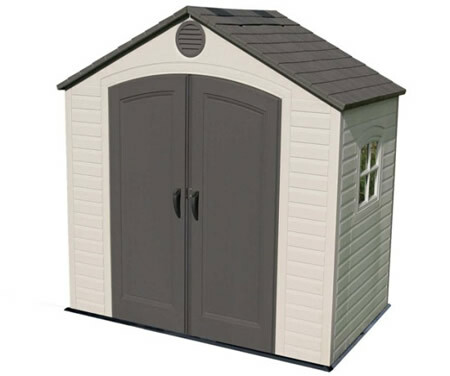 The Lifetime 8x7 plastic garden shed 60015 includes plastic flooring, 1 window, 1 shelf, 2 vents, 2 large and 3 small skylights! 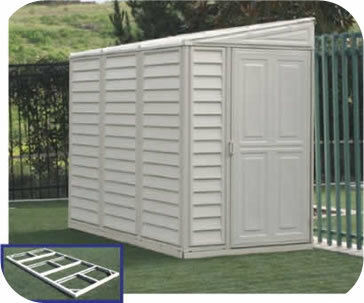 Excellent garden shed for storing your lawnmower and garden tools! 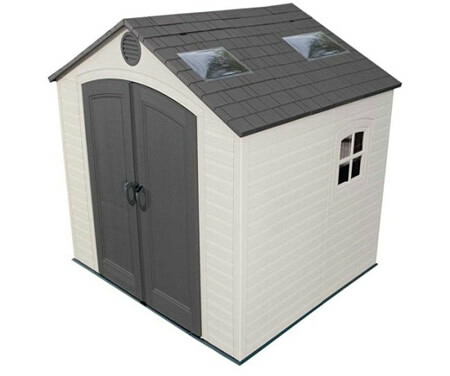 For extra lighting this Lifetime shed has two 22x14 inch large skylights to let in plenty of sun light, making it easy to find what you're looking for. Wall shelving will help you organize the first day you assemble your shed! 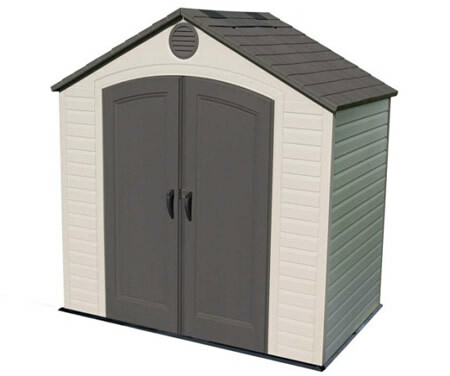 This low maintenance plastic constructed Lifetime shed requires no painting and will not rust. 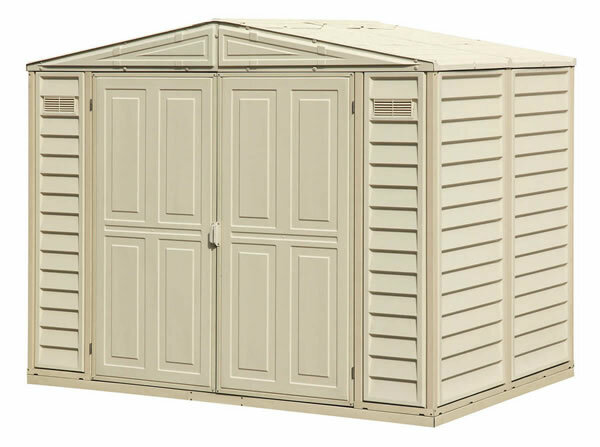 Lifetime sheds are UV-protected to resist fading and cracking. Constructed from high-density polyethylene (HDPE) plastic with heavy duty steel reinforcements designed to weather the storms. This Lifetime shed is not only durable, it's also highly functional thanks to the enhanced visibility provided by it's two large roof skylights. 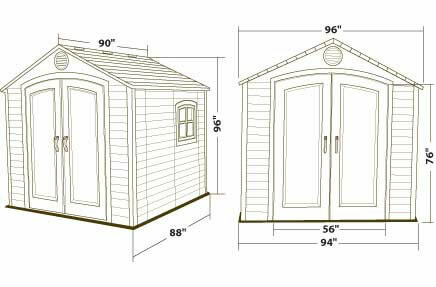 Note: shed must be assembled on a flat level foundation of wood or concrete (not included). 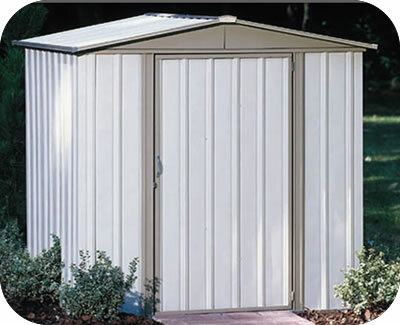 Lifetime storage sheds are made in the USA! 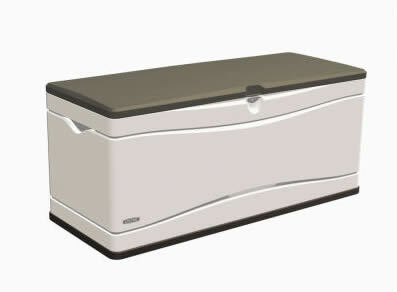 Door Opening: 56" x 76"
Interior Height – Minimum: 70"
Interior Height – Maximum: 94"